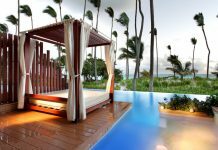 All-inclusive Grand Bahia Principe Bavaro is one of five resorts in the the Bahia Principe resort complex in Punta Cana. 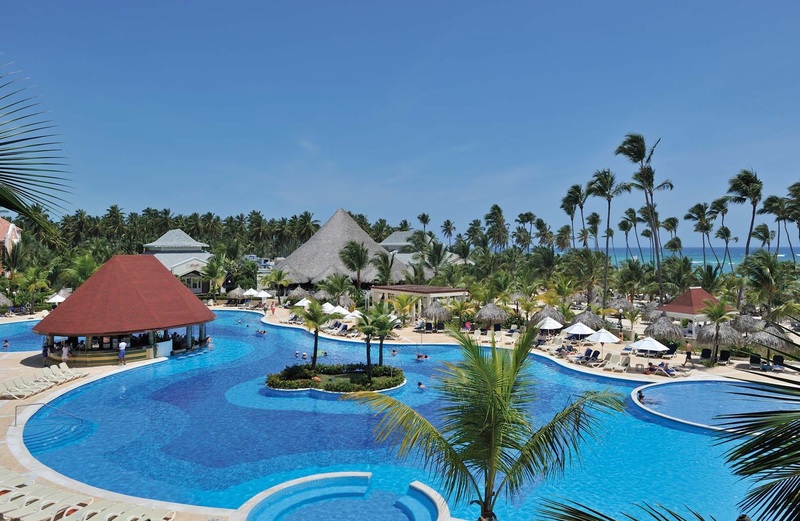 Guests at the resort have access to restaurants, entertainment, and amenities at Grand Bahia Principe Punta Cana and Grand Bahia Principe Turquesa, except for buffets. Each resort has its own buffet restaurant. 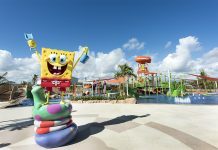 Highlights of the resort include a waterpark for kids, rooms with balconies or patios, and a variety of a la carte restaurants ranging from Tex Mex to sushi. There’s also a spa, gym, nightclub, and two large pools with swim-up bars. 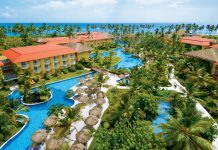 There are over 700 rooms at Grand Bahia Principe Bavaro. Rooms feature canopy beds (two full or one king), air conditioning, mini-bars, balconies, coffee makers, and bathroom toiletries. Guests who book Club Hacienda rooms get extra perks like free newspapers, private check-in, bathrobes and slippers, and an exclusive restaurant for breakfast and lunch. Visit Grand Bahia Principe Bavaro’s website for more information.